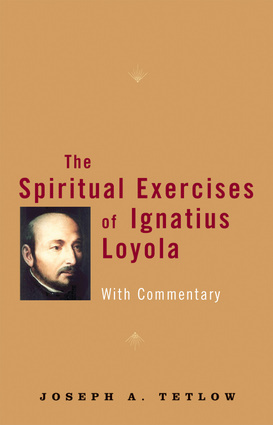 Offering an accessible translation of the classic Ignatian text The Spiritual Exercises, this reference provides step-by-step commentary that explains its meaning and relevance to the modern spiritual life. An important resource for those seeking to grow spiritually, whether Christian or not, every page provides compassionate advice for each stage of the journey and reflects the understanding of the human soul. Chronicling a spiritual work out, this resource employs stories, analogies, and approachable language to make this an ideal companion for anyone seeking divine inspiration. Joseph A. Tetlow is the director of the Montserrat Jesuit Retreat House, the former head of the Jesuit general’s Secretariat for Ignatian Spirituality, the former president of the Jesuit School of Theology at Berkeley, and the associate editor of America magazine. He is the author of Making Choices in Christ and Mana for the Desert of Business. He lives in Dallas, Texas.